Like good wine the years together are just getting better and better. This is also the month in which Spring is supposed to show itself. I can see glimpses of it in our garden, but two days ago there was some snow spotted close to Ceres. Strange weather patterns? Two years ago round about this time I started with the Lobotoy-me project. 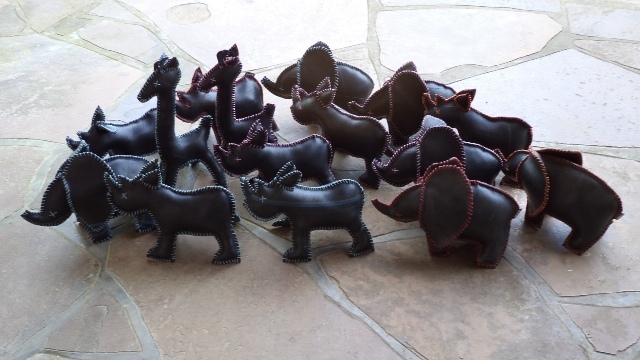 This month I received some nice orders for the Lobotoy-me toys, which I am very grateful for, and which enabled me to make a donation again to the anti- Rhino poaching fund! Toys hand-made from inner tubes. This is super cool since the 22nd of September is World Rhino day! Art wise my work is progressing nicely for the Morality Monkeys group show next month – which I will tell you about at a later stage. A fellow artist, curator and friend of mine, Neil Nieuwoudt, is working on a catalogue for me, of my recent work! You can see an example of his work here! This was a catalogue he did for an artist Bronwyn Lace. I think Neil is very talented and I am super excited and cannot wait to see the end result! The only negative thing about this month September is the coughs and sneezes I am struggling with. Can this be due to the changing of the season? I hope you have enjoyed the month of September so far? !